We have a range of preamplifiers for radiation detectors and radiation detector electronics that you can use to help you build a tailor-made CZT or scintillator detector. 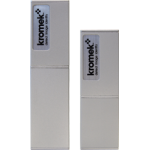 The Kromek Team can help you every step of the way to make sure you get the mission specific radiation detection solution you need. The eV-550 preamplifier for radiation detectors is essentially a charge-to-voltage converter. Charge carriers from a detector on the input, generated by ionizing radiation, provide a proportional voltage at the output. The eV-550 is designed for maximum flexibility in a wide range of applications. The eV-550 is available with any of the four standard hybrid preamplifiers and incorporates a BNC connector for the input. Semiconductor detectors (Si, Ge, CZT, HgI2, etc. 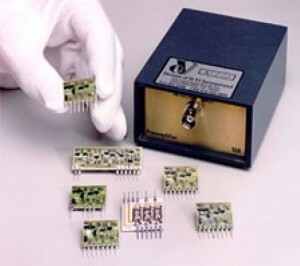 ); channel electron multiplier arrays (CEMA), ideally suited for resistive anode readouts; photodiode detectors; proportional gas detectors for charged particles or neutrons. The EV-509x product family is a low-noise, general purpose charge sensitive preamplifier designed to exhibit excellent performance with radiation detectors having various source capacitances. The EV509x series works with the EV-550. The EV-5091 is a low-noise, general purpose charge sensitive preamplifier designed to exhibit excellent performance with detectors having a source capacitance of 1-100 pF. This preamplifier is intended for use with CZT detectors, Si surface barrier detectors and photodiodes, HgI2, proportional gas counters and multi-channel plate arrays with and without resistive anode readouts. Board dimensions are 0 .810″ x 0.600″ with 8 pins along one edge (0. 100″ center to center spacing). The EV-5092 is a low-noise charge sensitive preamplifier designed to be used with detectors having a wide range of capacitance (100- 1000 pF). The EV-5093 is an ultra-low-noise, charge sensitive preamplifier designed to exhibit excellent performance with detectors having a source capacitance of 1-100 pF. The EV-5094 is an ultra-low-noise charge sensitive preamplifier designed to be used with detectors having a wide range of capacitance (100-1000 pF). Choose the detector mounting that suits your requirements. The simplest mounting style available, the EV-080 consists of an alumina (Al2O3) substrate and a CZT detector crystal. Suitable for incorporation into a shielded housing, the EV-080 is designed for maximum flexibility in a small package. The EV-180 is mounted directly to the back of a standard BNC connector. 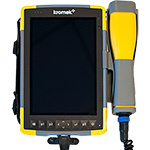 This allows the EV-180 to be easily connected to standard Nuclear Instrumentation Modules or an EV-550 using any of the Kromek products standard charge sensitive preamplifiers. The housing comes in 30mm OD or 12mm OD (1.25″ OD or 0.5″ OD), depending on the detector crystal size. The eV-480 accommodates semiconductor crystals in an easy to use test fixture with a standard BNC connector. 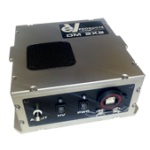 This allows the eV-480 to be easily connected to an eV-550 preamplifier box or Nuclear Instrumentation Modules. This design enables different size planar contacted detectors to be tested within the same configuration for ease in scientific experiments. 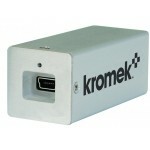 Kromek is here to help every step of the way so you can build the detector that is perfect for your needs. Tell us what you want to build and we can help you build it. Tell us what you want to detect and we will show you how. 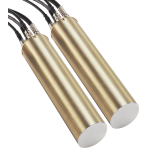 Caesium iodide scintillator gamma radiation detector for use in the field and in the lab. 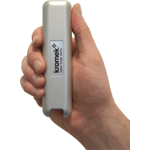 RayMon10 rugged handheld CZT-based radioactive isotope identifier. Available with Radbeaker (volumetric quant-bottle) for volumetric analysis.